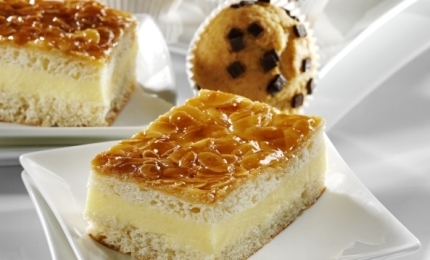 Native potato starch improves crispiness and porosity in baked products and functions in liquid or gelled products like fillings, toppings and glazes as thickener and texturiser with bland taste. If applied in combination with carrageenan as gelling agent a transparent, cutable gel can be obtained for jelly toppings for fruit pies and pastry. 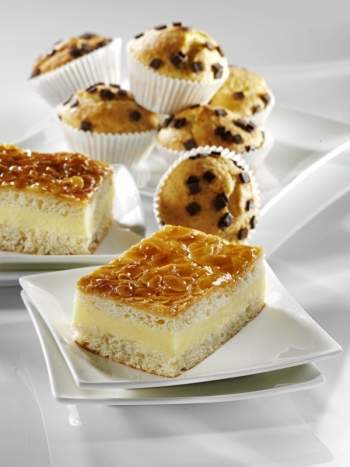 Our modified starches improve the texture, mouthfeel, stability and appearance of bakery products. Often they make them more convenient to manufacture. Specifically, our derivatives deliver excellent water-binding, creamy textures, good clarity and baking stability, shiny appearance, excellent freeze-thaw stability, good dispersability, optimal shelf life and bland taste. Furthermore, Emsland Group offers valuable potato- and pea fibres for different applications. They are GMO-free and no allergens are known. They have a typical taste and are able to improve texture. They have a very high dietary fibre content that could lower the cholesterol level and decrease the amount of calories in the food (low fat, light products). Additionally they have the function to bind water in the food system and are able to regulate the moisture level. Potato flakes and granules produced from fresh potatoes can be used in several bakery products. Whereas flakes are cold swelling, granules can only be used as a thickener in hot medium or at ambient temperatures in combination with cold water swelling starches.